KABUL: President of the Islamic Republic of Afghanistan, Mohammad Ashraf Ghani in a meeting with the civil society activists and journalists, at the end of a one-day national conference named “Components of the Sustainable Peace” said peace has not been at marginalized but was a national dialogue, a statement from the Presidential Press Office said Wednesday. At the meeting which was held at the Salamkhana Palace and attended by Chief Excutive Dr. Abdullah Abdullah, at the outset, Feruzan Rassouli said up to 400 representatives from the civil society activists and media all over the country have attended the event and spoke about peace, said the statement. Other speakers including Seddiqullah Tawhidi, representing media also spoke about the agenda and said 12 issues, including the Taliban’s refusal to accept the country’s litigate system, guarantee on the country’s constitution, as the national insurance, holding presidential election in its due time, ceasefire, prevention of civilian casualties, trust-building, ceasing relation between the Taliban and the entire terrorist circles etc. had been discussed at the meeting. Thanking the organizers for holding the conference, Dr. Abdullah said: “The contents of your suggestions were the willing of the overwhelming majority of the people of Afghanistan, as no one would accept continuation of war in the country, if so, this would never peace indeed,” the statement quoted. 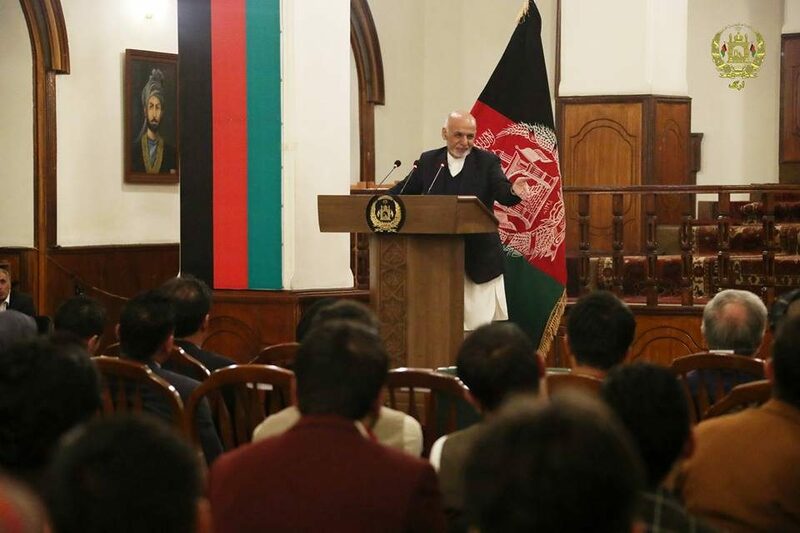 Meanwhile, President Ghani said that the constitution was not only on the paper, but “in our heart and mind,” the statement continued. “Our focus in the national dialogue is peace and the peace gift is for our present and future generation,” the statement said adding a sustainable peace would stabilize Afghanistan. He said negotiation was with no condition, but peace was conditioned and Afghanistan would determine the limit of the negotiation, the statement quoted. “We defend our country, if ceasefire was not reached,” the president warned. The president reiterated that if there was pressure forcing us to behave illegally, then this was not acceptable.